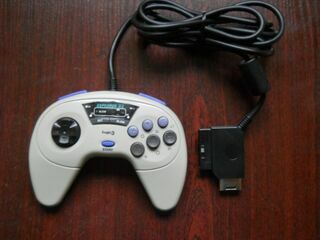 The Explorer 32 by Logic 3 is a third-party control pad for the Sega Saturn. It is essentially an upgraded Explorer SS, now with added support for the Sony PlayStation). How it differs from the Master 32 aside from aesthetics is not clear.